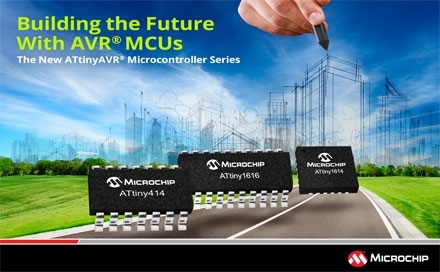 Microchip Technology Inc. has recently expanded its AVR® microcontroller (MCU) product line to introduce three new tinyAVR® MCU families. The advent of new ATtiny1617 family of MCUs has enabled the AVR family with core-independent peripherals (CIP) to grow, helping to increase system throughput and reduce overall power consumption. 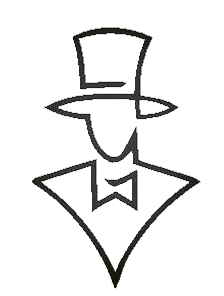 As a new generation of tinyAVR MCUs, the new devices further expand storage capacity, adding a new 16 KB flash option and compatibility with the recently released pins and codes of the ATtiny817 family of devices. In addition, all devices in the family are supported by Atmel START, an online tool designed for intuitive, graphical configuration of embedded software projects. The new MCU family offers 16 KB of flash, 256 B EEPROM and 2 KB of RAM in 14-pin, 20-pin and 24-pin packages. These devices also include important features that are available in other tinyAVR MCUs, such as allowing the peripherals to communicate without the need for a central processing unit (CPU) and enabling designers to customize the MCU-configured event system controller for their specific application. The on-chip peripheral touch controller (PTC) simplifies the development of capacitive touch systems. 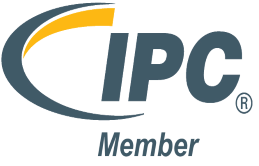 Other integrated features include a 20 MHz internal oscillator, high-speed serial communication with USART, SPI and I2C, configurable custom logic, a 10-bit analog-to-digital converter (ADC) with internal reference, and 1.8 V to 5.5 V operating voltage and picoPower® technology that reduces sleep current to 100 nA.